Mics, mics, and more mics! 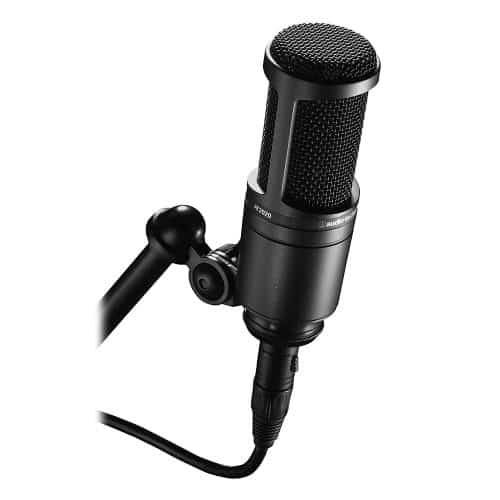 You’ll find loads of professional and hobbyist microphones on the market for all types of applications. Among the most popular are condenser microphones used for recording vocals. 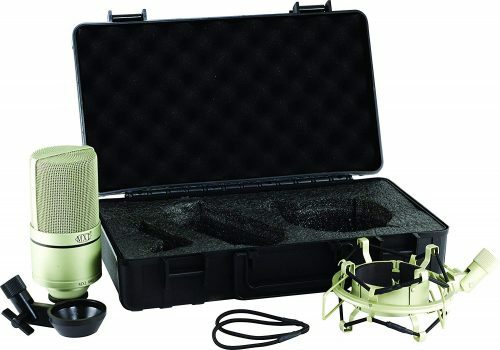 If you’re looking for a simple, budget-friendly vocal condenser mic at a great price, read on. This article will provide an honest, unbiased, in-depth review of the MXL 990 and MXL 990 Blizzard Edition. Full Disclosure: This is an affiliate review. Purchasing from the link or buttons below earns me sales commission. If you’re like most people with an interest in audio, you probably daydream about fitting out a plush studio furnished with the latest and greatest gear. You can almost envision stocking your mic lockers with the Neumann U87s and AKG C414s of the world. Unfortunately, that isn’t always realistic. For many of us, part of producing great audio is the challenge of finding gear that will do the job without breaking the bank. One of the most valuable tools in that regard is a versatile microphone that can capably handle a wide range of sources. Enter the MXL 990. Its stubby profile, generic finish and low price tag make it easy to dismiss, but the 990 is a respectable option for a budget-friendly setup. I wouldn’t be in a hurry to reach for it during a serious studio session, but it deserves consideration if you’re a hobbyist or an artist looking for a simple, no-frills solution that simply works. Ask a hundred people what makes a quality condenser microphone and you’ll probably get a hundred different answers. Beauty, to adopt a phrase, is in the ear of the beholder. Still, there are a few things most quality microphones have in common regardless of the price tag attached to them. The first is a responsive, high-quality capsule. The capsule is the business end of the microphone and it contains the components that actually capture sound. The capsule itself is composed of a solid metal backplate and a thin diaphragm made from conductive material. Most modern condenser microphones, like the 990, use gold-sputtered Mylar diaphragms to achieve the greatest fidelity and dynamic range. The size of the diaphragm is also important. Large-diaphragm condenser microphones have a diaphragm of one inch or larger in diameter. They essentially provide a bigger surface area for incoming sound waves, producing greater sensitivity and a higher signal voltage. This makes larger diaphragms better at picking up quiet audio and subtle detail without adding unwanted noise. The MXL 990 is typically billed as a large-condenser microphone, but its diaphragm diameter actually falls a quarter of an inch short of the one-inch standard. 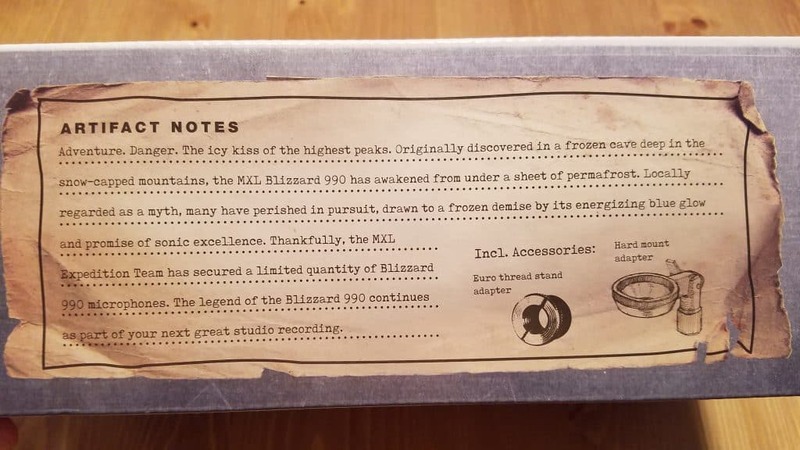 The MXL 990 Blizzard Edition came packaged in a padded cardboard box. 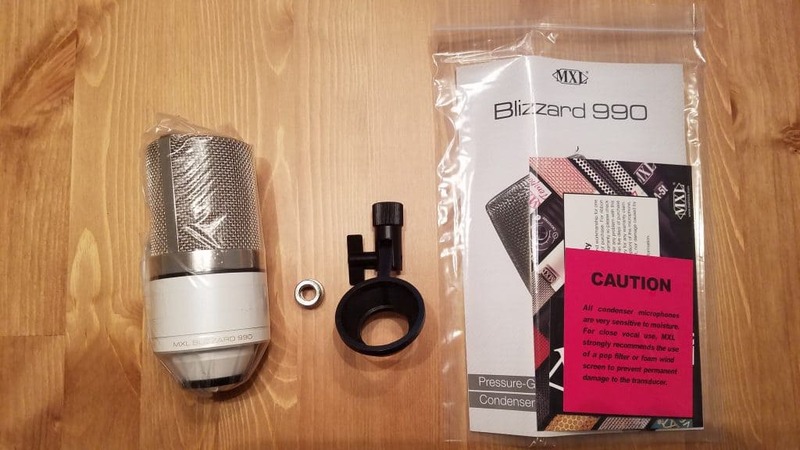 The mic itself was wrapped in a plastic bag along with some dessicant to prevent moisture from entering and damaging the sensitive internals. This is a great, simple mic for recording vocals, both male and female, doing voiceover work, and podcasts. There aren’t many features, but one very cool feature that the Blizzard Edition does have are it’s 4 blue LED lights located inside the wire mesh around the diaphragm. These are powered off the +48V phantom power that’s usually supplied by your audio interface. My studio lighting is blue so this was a perfect match and looks awesome with my setup. The LEDs are not overly bright and play off the wire mesh nicely, creating the icy look from which the name came from. 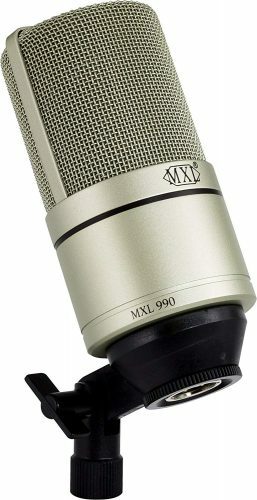 The MXL 990 is somewhat unique in that there simply aren’t many comparable condenser microphones in its price range. That’s especially true when you consider that it’s available in so many different configurations. Most budget condenser microphones suited for hobby or entry-level professional audio work are well outside of the MXL’s typical price range. Still, there are a few alternatives worth considering if you’re looking for a versatile, wallet-friendly condenser. 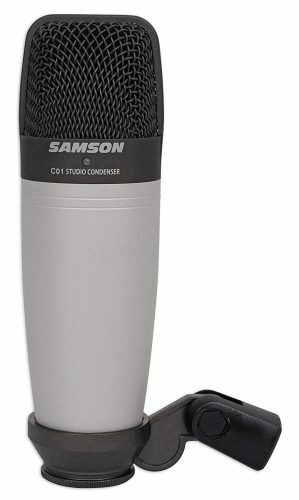 Probably the most direct competition for the 990, the Samson C01 is another solid choice in the budget category. In fact, the microphone is similar in many ways. It employs a similarly sized diaphragm and frequency response of 40 hertz to 18 kilohertz is only slightly narrower than the 990’s. On a practical level, the C01 delivers a slightly brighter and airier tone than the MXL 990. Whether this is a good or bad thing, of course, will depend on your application. The Samson doesn’t perform quite as well in the low range and it also tends to generate slightly more self-noise than the MXL 990. Nonetheless, it’s suitably well-engineered and it’s capable of producing a clean and responsive sound. If you’d prefer a USB form factor, you can also check out the upcoming Samson C01U Pro. The Audio-Technica AT2020 is often one of the first microphones mentioned when it comes to affordable entry-level gear. In truth, the AT2020 performs well enough that the “entry-level” tag is almost unnecessary. The back-electret design features a comparably sized diaphragm and a full bandwidth that runs from 20 hertz to 20 kilohertz. The build quality is excellent thanks to a cast metal design and a durable wire mesh cover over the capsule. Sonically, the AT2020 is very transparent and faithful. 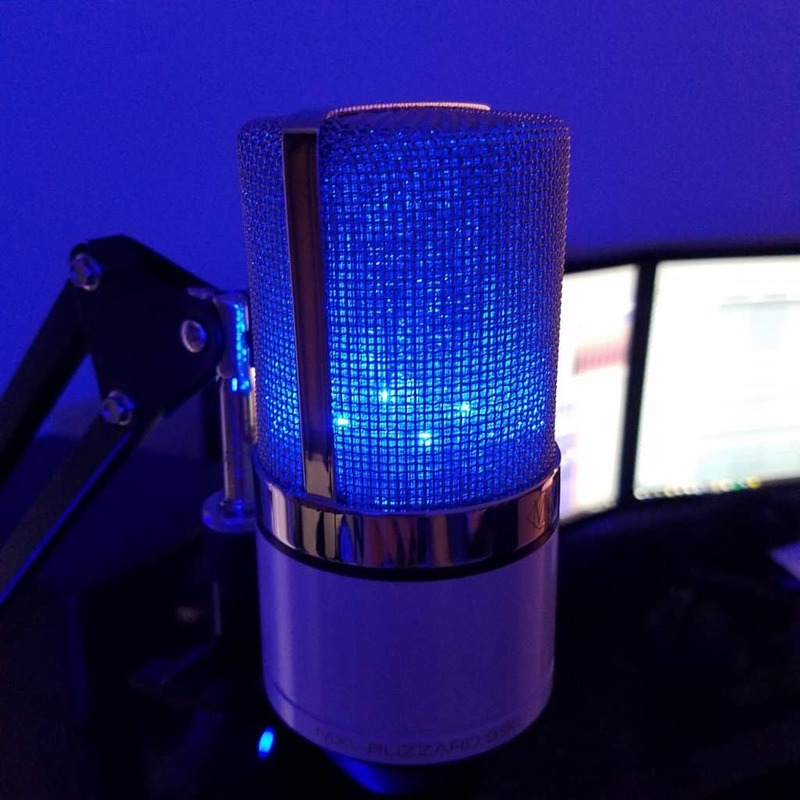 The mic adds relatively little of its own color and features a fairly tame proximity response compared to some of its competitors. However, some people may find the lack of character to be a drawback rather than an asset. The AT2020 is also more costly than the other options, particularly when it comes to the USB-powered AT2020USB+. 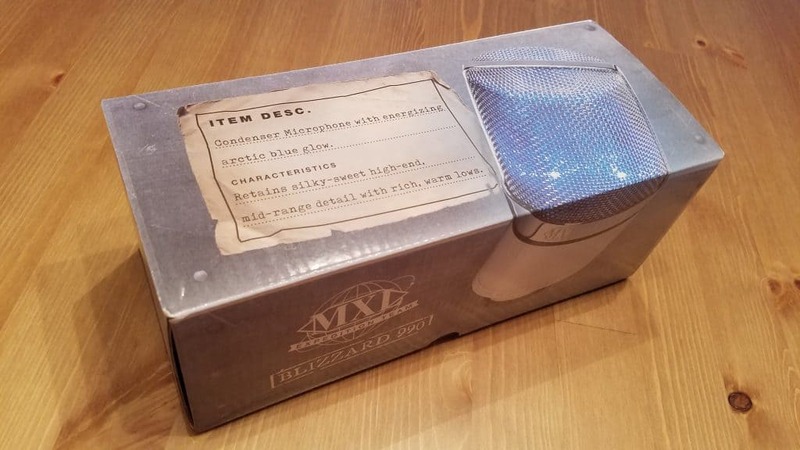 Ultimately, the MXL 990 is everything you’d expect an entry-level condenser microphone to be. Whether that’s a good thing or a bad thing depends on your budget and your needs. Studio producers and professional artists will probably find little value in the 990’s utilitarian design and transparent, somewhat characterless recording quality. If you’re a hobbyist operating on a budget or looking for a simple, no-frills microphone that can handle a variety of work, however, the MXL 990 is a capable and highly affordable option. That’s it, thanks for reading. I hope this review helps you find the right mic for your specific application, needs, and situation!